Tim Dieppe investigates why Asia Bibi has not been offered asylum by the British government. Asia Bibi was acquitted of blasphemy in Pakistan prompting massive demonstrations across the country. She is currently hiding for fear of her life. Her lawyer has had to flee the country. It is hard to imagine a more deserving case for asylum. Yet the government has refused to make this offer amidst security concerns. It is now apparent that British policy is being dictated by Islamist threats. Has there ever been a more deserving case for asylum than that of the Pakistani Christian woman Asia Bibi? After spending eight years on death row in Pakistan, Asia Bibi was acquitted of blasphemy by Pakistan’s supreme court on 31 October. She had been sentenced to death on a charge of insulting Muhammad following a row with some Muslim colleagues over a cup of water. The verdict prompted massive protests by Islamists in Pakistan calling for Asia Bibi to be hanged. Mrs Bibi’s lawyer has fled Pakistan fearing for his life. Asia Bibi herself remains in Pakistan, in hiding for her life. This is clearly not sustainable. At some point she will be found and killed. She and her family need to be offered asylum so that they can leave the country safely. But Britain has so far failed to offer asylum. Why is this? There was a revealing exchange about Asia Bibi in the Foreign Affairs Committee meeting on 13 November. The committee, chaired by Tom Tugendhat MP, was questioning Sir Simon McDonald, Permanent Under-Secretary at the Foreign and Commonwealth Office and Head of the Diplomatic Service. Tugendhat stated that Asia Bibi’s case represented “one of the clearest examples of free conscience being challenged today.” Tugendhat then explained that he has heard that the Home Office has suggested that Asia Bibi should be offered asylum since she qualifies on absolutely every ground, but that this has not been done because the head of staff in Pakistan is concerned about the security implications for staff in the British High Commission in Pakistan. Tugendhat then asked: "Does that not raise the question that either staff should be withdrawn or security increased, because otherwise effectively British policy is being dictated to by a mob?" Sir Simon does not deny that asylum has not been offered because of concerns about the reaction in Pakistan. At this point the meeting went into private session for an extended period. What this reveals is that, as Tugendhat put it, “British policy is being dictated by a mob.” This is very concerning indeed. Allowing the mob to dictate policy will only encourage mob violence in every other area. Wilson Chowdhry, Chairman of the British Pakistani Christian Association also claims that the government is concerned about potential unrest within our own communities in the UK. This claim appears to be validated by Sir Simon supposing in the exchange above that “some other country can offer a more complete harbour than the UK.” It appears that he considers that the UK is not as safe as some other countries might be for someone like Asia Bibi and that this is a consideration in their discussions with other nations about her case. So the situation is that Jihadi brides and ex-ISIS soldiers are welcomed back in the Britain, but no offer of asylum is made to Asia Bibi. This week, Laruen Southern released video evidence of NGOs teaching refugees how to lie about being Christians so that they can claim asylum. They are encouraging Muslims to claim that they have been threatened for being Christians and thus obtain asylum. Meanwhile, the most genuine, clear-cut case, is not receiving the help she needs. He refers to a letter signed by some 124 MPs and Peers asking the Prime Minister to personally intervene to offer asylum to Asia Bibi. The Prime Minister was asked about Asia Bibi in Prime Minister’s questions on Wednesday. Mrs May expressed her concerns for Asia Bibi’s safety, but stopped short of offering asylum. “I am well aware, as a former foreign secretary, of the constant threat to our overseas missions but we cannot allow the threat of violence to deter us from doing the right thing. It is clear that the government is not prepared to stand up to pressure from Islamists, even when it has a clear moral duty to do so. British foreign policy, is subject to mob pressure. The government repeatedly states that Islam is a ‘religion of peace’. If that is true then why are they so concerned about giving asylum to Asia Bibi? British policy should not be held to ransom by potential Islamic unrest either here or anywhere. Yet this is what is currently happening. Backing down to Islamic pressure only encourages Islamists. We should pray that the government recovers the moral courage required to do the right thing, even when it costs. Otherwise it will not be long before government policy is dictated by Islamists. British Pakistani Christians: UK Foreign Office fear of attack on consulate staff led Home Office to block asylum for Asia Bibi. Foreign Affairs Committee discusses Asia Bibi. Daily Mail: Britain must help brave mother in fear of lynch mob': Ex Foreign Secretary Boris Johnson demands Sajid Javid ignore the danger of retaliatory attacks to offer refuge to Pakistani women freed after eight years in prison on blasphemy charge. 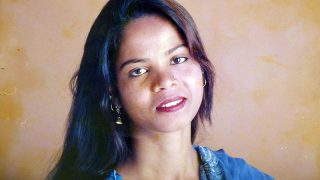 Melanie Phillips: The Shameful Abandonment of Asia Bibi. Guardian: Foreign Office 'allowed Pakistan mob to dictate Asia Bibi asylum case'. Hansard: Prime Minister responds to question about Asia Bibi. Rehman Chishti MP resignation letter.